DUBAI, July 26, 2017 /PRNewswire/ — DHL Global Forwarding, the leading international provider of air, sea and road freight services, has appointed Amadou Diallo as CEO for the Middle East and Africa region. In the new role, Diallo will focus on expanding and deepening the region’s international trade connections, as well as incorporating innovative logistics technologies into DHL’s offerings to Middle Eastern and African customers. In his most recent role as Executive Vice President of Value-Added Services and Integrated Logistics with DHL Global Forwarding, Diallo oversaw a portfolio of innovative services including Saloodo!, DHL’s new digital platform. Founded in 2016 and starting in 2017 the platform brings a new and powerful digital solution which increases and maximises efficiency in all steps of transport handling between shippers and transport providers. As the CEO of DHL Freight from 2011 to 2016, he was responsible for the performance and long-term strategic development of the unit, a role he was well-placed to perform with his experience in leading freight forwarding operations in Africa and South Asia Pacific since 2008. 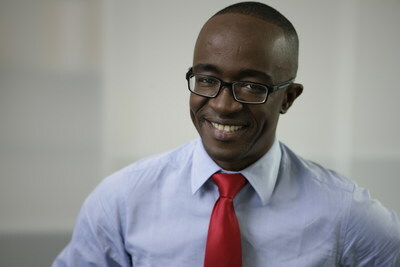 Diallo also brings with him a wealth of expertise in logistics network-building, most notably as Managing Director of DHL’s integration with supply chain operator Exel – now DHL Supply Chain – in 2005.